This region and city has been inhabited for over two millennia, but Kolkata’s recorded history began in 1690 with the arrival of the English East India Company, which was working to consolidate it trade business in Bengal. The area was colonized by England and eventually formed two separate cities. By the 1850s, Calcutta had two primary areas: White Town, which consisted of primarily British inhabitants, and Black Town, comprising mostly Indian inhabitants. The combination of these areas gave rise to a new social class, but the partition of Bengal in 1905 along religious lines led to a massive cultural revolution. Calcutta continued to be a center for revolutionary organizations associated with the Indian independence movement. That history continues to shape the city’s culture. Kolkata is spread north to south along the eastern bank of the Hooghly River, sitting within the lower Ganges Delta. The greater metropolitan area is spread over some 728 square miles. The city itself has several distinct sections and neighborhood. 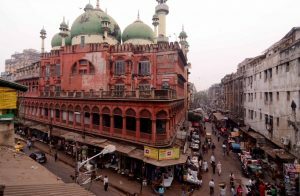 North Kolkata, for example, is the oldest part of the city, characterized by 19th century architecture, crowded bazaars, and narrow alleys. 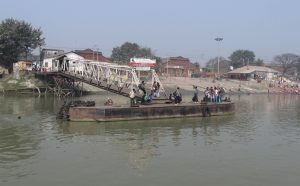 It includes areas such as Shyambazar, Rajabazar, Kumortuli, Bagbaza, and Belghoria. 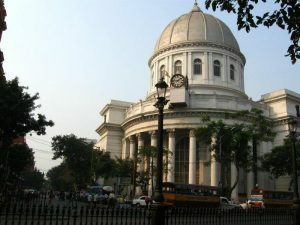 Central Kolkata hosts the central business district, and it contains Dalhousie Square, the Esplanade, and the Reserve Bank of India. East Kolkata is largely composed of newly developed areas and neighborhoods, and south Kolkata includes upscale neighborhoods like Ballygrunge, Alipore, Lansdown, and Jodhpur Park. Those visiting Kolkata will grow to appreciate the city’s abundance of transportation options. In fact, Kolkata ranks among the top six Indian cities for accessibility of public transportation. With a tram system, rickshaws, buses, a railway, and a metro, visitors should not have much trouble getting around this distinct, bustling city.